Review: Thotiana • Tips, Trends & News in 60 Seconds or Less! 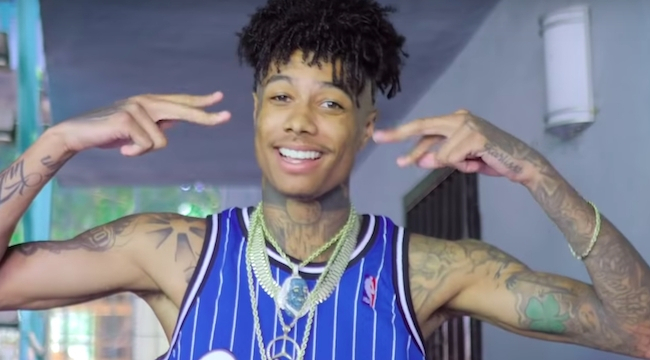 “Thotiana” is the latest club banger released from up and coming artist Blueface. The song itself doesn’t exactly have much meaning, and some people may perceive the lyrics as demeaning. For example, Blueface sings, “Yeah, aight, I’m every woman’s fantasy (Blueface, baby). Mama always told me I was gon’ break hearts. I guess it’s her fault, stupid, don’t be mad at me (don’t be mad at me).” People argue that the lyrics promote the concept of toxic masculinity by instituting that men can play with others’ feelings without consequences. On the other hand, some say that “Thotiana” was meant to be instructions for strippers. However that makes you feel, it still does have a nice beat, although some say and complain otherwise. “Thotiana” starts with a repeated chord with a steady drum beat. The production alone ensures its spot in every club’s playlist. And besides—who really listens to the lyrics anyways when you’re in the moment? Personally, I think this song isn’t anything more than a one hit wonder. The lyrics aren’t great, the rhythm isn’t great. In fact, the only thing keeping the song together is the production—which was made by Scum Beats, not even Blueface. It’s fun to dance to but if you’re looking for meaning, “Thotiana” is not the song for you.